Maryland law enforcement takes drinking and driving very serious. If you are arrested and charged with driving under the influence (DUI) or driving while intoxicated (DWI), you should strongly consider hiring an attorney. A La Plata DWI attorney can help you understand the differences between DUI and DWI, and help the court understand the circumstances surrounding your arrest. 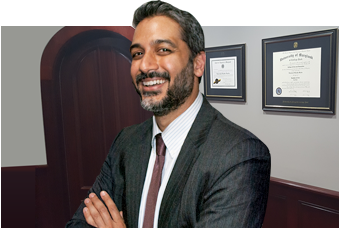 A good lawyer can get your charges reduced or dropped completely. A DWI is generally less serious than a DUI. You will likely be charged with a DUI if you are caught driving with a blood alcohol concentration (BAC) of .08% or higher. However, you may still be arrested if your BAC is less than .08%. If you are caught driving with a BAC between .04% and .08%, you may be arrested and charged with DWI. Minors caught driving with a BAC of .02% or higher may be charged with DWI and face license suspension. The punishment for DUI/DWI varies depending on the circumstances of the incident and whether it’s a repeat offense. An individual’s first DWI may carry a jail sentence of up to two months, and a second offense may be punishable by one year in jail. A DUI conviction may come with a one-year jail sentence, while a third offense may be punishable by three years in jail. Both DUI and DWI convictions come with a minimum license suspension of six months. A DUI or DWI conviction may come with many consequences beyond jail time, fines, and license suspension. A DUI conviction will likely remain on your permanent record, making it difficult to land a job or find a place to live. If you are convicted of multiple DUIs or DWIs within a five-year period, your latest conviction may be a felony. Convicted felons are not allowed to vote or own guns. A DUI/DWI lawyer can help reduce a felony DUI to a misdemeanor, or help keep a misdemeanor DUI off your permanent record.